The third large size tower at Liberty Harbor North continues steadily upward. 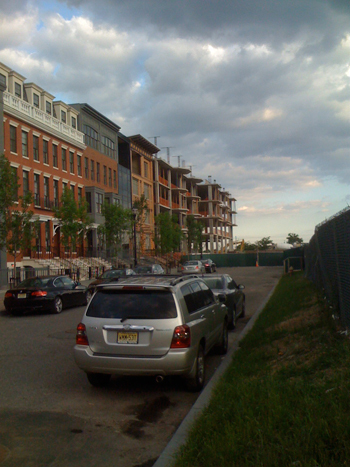 Two other mid rise buildings are nearly complete, the Sutton and the Lofts, while many of the low rise buildings such as the faux brownstones are already occupied. 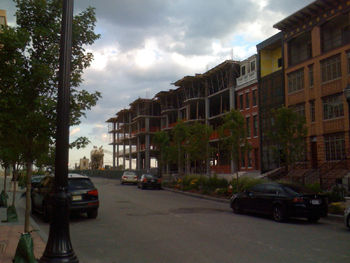 This building will continue to extend the development further south.